With its unique design this bag will look great with whatever you wear it with. 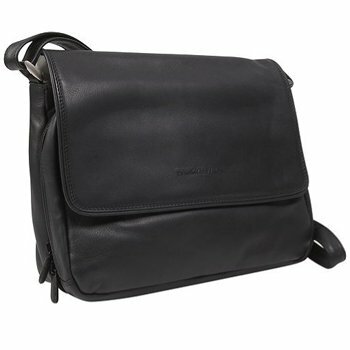 The front of the bag has a horizontal zipper pocket that contains two drop pockets, a cell phone/PDA pocket, and a pen sleeve. The rear has another horizontal zipper pocket. This would be a good place for your passport because of the easy yet secure access you have to it. The rear also has a hidden pocket where you could carry your cell phone/PDA or camera. 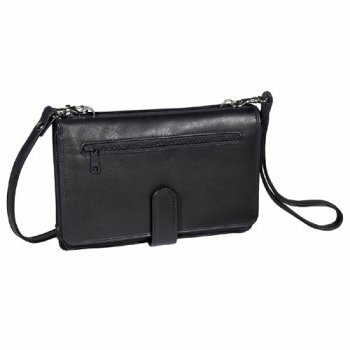 The main compartment has a back wall zipper pocket for items you want separate. 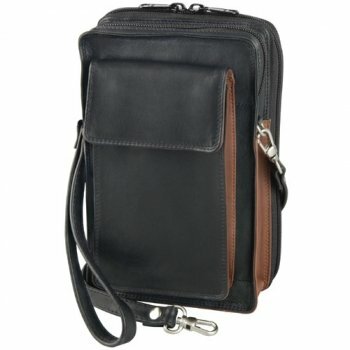 This compartment is large enough to carry your larger items like a wallet, small day planner, etc. The strap is adjustable for a more comfortable fit.